The enthusiastic members of the Kerala Youth Congress probably thought it would be a striking idea to register protest against the recent Ministry of Environment & Forests (MoEF) order to ban sale and purchase of cattle for slaughter from live animal markets. Clad in crisp white lungi and white shirt, they held the Congress flag in their hands and loaded themselves and a calf in a small truck, to slaughter the animal in broad daylight, in full public view. It was probably their version of a civil disobedience movement or some kind of beef party as organised by Engineer Rashid in Kashmir, the difference being the Congress workers in Kerala did not cook it, but distributed the raw meat free. Youth Congress leaders didn’t fully realise the implications of their act. Congress’ strongest leader, Rahul Gandhi’s grandmother Indira Gandhi, had chosen cow and calf symbol after the party split into Congress (O) and Congress (R) in the months following her elevation to the leadership position. The party’s original symbol 'pair of bullocks carrying a yoke’ went to Congress (O), Congress (R), headed by Indira, chose 'cow and calf' (Gai-bachra) as its symbol in 1969. Indira with the symbol and the 'garibi hatao' (remove poverty) slogan swept the 1971 polls. During Emergency in 1975 and post-Emergency in 1977, Congress’ cow and calf symbol was ridiculed with Indira being projected as the cow and Sanjay Gandhi as calf. The Congress split again in 1977 with senior leaders like Jagjivan Ram leaving the party, forcing Indira to rename the party as Congress (I) and opt for a new 'hand' symbol. 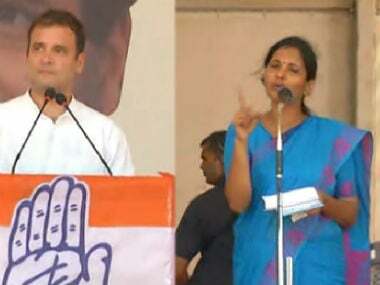 Though it has been close to 40 years since the time Congress abandoned the cow-calf symbol, now the same taunt is being hurled at Sonia and Rahul. But the damage has already been done. 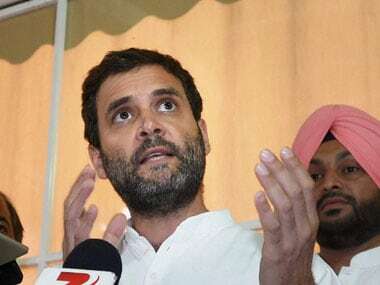 Youth Congress is still perceived as Rahul's baby and workers of Youth Congress raising slogans against Narendra Modi and Amit Shah while slaughtering a calf will surely not go down well with the people of the country. The issue became public after Kerala state BJP president Kummanam Rajasekharan posted a video of this incident on his twitter account. His words assume significance in the current context. But Congress under Rahul's leadership is not a party that learns its lessons easily. The idea behind the alliance with Akhilesh Yadav’s Samajwadi Party was to consolidate Muslim votes in UP election, but it failed to get the votes of the majority. The end result was humiliating for Congress. 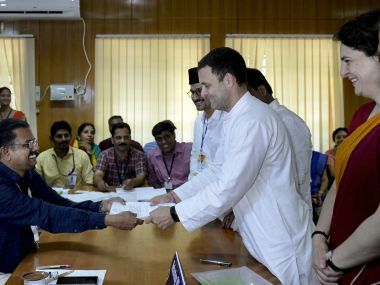 It ended winning only seven seats in a 402-member strong UP Assembly and those who won, didn’t win because they had the blessings of Rahul, but because they were in a position of strength, irrespective of the Congress sign and symbol. The Kerala incident will haunt Congress for a long time. In the next six months, BJP and Congress will be pitted against each other for a straight fight in Gujarat and Himachal Pradesh Assembly elections. This anti-Hindu, beef fest tag, could pinch the Congress hard. 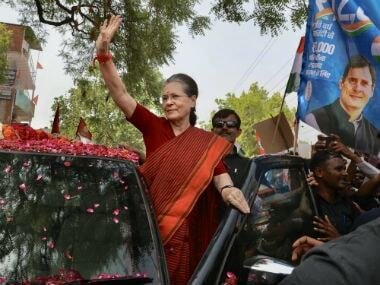 More so, the incident took place in less than 48 hours after Sonia and Rahul hosted lunch for Opposition leaders (those who could be inclined for forming an anti-BJP coalition - a UPA3). The leaders, posing for photo-ops, with competing egos, contrasting personalities, clashing social philosophies were not very inspiring. Most of those gathered there were facing charges of corruption and shell companies, and had dwindling social support base. Calf slaughter and beef fest is not going to help them in boosting their political prospect. 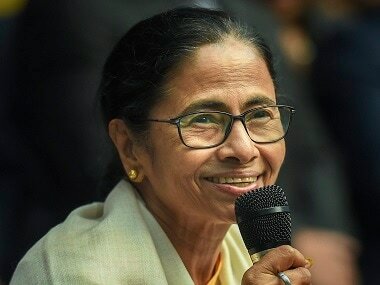 The Narendra Modi government waited for three years, weighing its options before notifying ban on sale and purchase of cattle from animal markets for slaughter (does not apply to goat and sheep). The new rule has been put in force under the Prevention of Cruelty to Animals (PCA) Act of 1960. The Congress and its prospective allies in Opposition parties will have to realise that they can set off a public discourse and win it, either on stated objectives of the government behind this ban or on BJP’s age-old pledge to protect the cow and its progeny.